Are you tired of struggling and just want to feel better? Do you sometimes feel as if you have tried everything and yet nothing has helped? Have you sought help before and while you found new insights, your day to day life didn't improve as much as you had hoped? I have trained in a variety of cutting edge approaches that are based upon the latest research on the brain and the nervous system. Many of the concerns that typically bring someone into therapy - issues such as anxiety, stress, depression, trauma, anger, addictions, autoimmune disorders and more - have at their root a dysregulated nervous system. This is why when we talk about our problems and obtain insight about them, we don't necessarily find that our symptoms improve. It is only by working with the body, the brain and the nervous system that we are likely to experience true and lasting improvement. In addition to Somatic Experiencing - a nervous system based psychotherapy - I also offer NeurOptimal neurofeedback. While NeurOptimal is not a therapy or treatment but rather a tool that helps to optimize brain function, it can help not only with the types of concerns that typically bring people into therapy but also others issues such as tinnitus, brain injuries, misophonia, chemo brain, learning disabilities, migraines, alzheimers, dementia, sports performance, academic performance, autism spectrum disorders, and more. Basically anything that can be affected by having more optimized brain function has the potential of improving with NeurOptimal. NeurOptimal is completely safe, and sessions are available as inexpensively as $40 each. 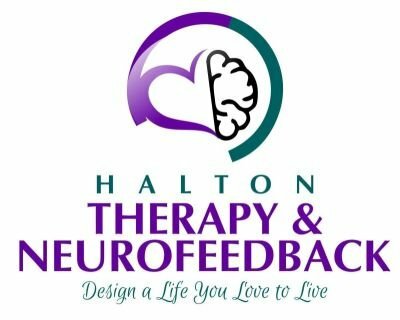 Please see my neurofeedback page, using the link at the bottom of the site, or watch the videos provided to learn more about NeurOptimal and the very wide range of areas in which people often experience improvement through brain training. Rather than simply learning how to cope better with their symptoms - which is often what happens when talk therapy is used alone - many of my clients now find that they simply don't get as anxious, stressed or depressed, etc... in relation to events that previously would have really triggered them. I find in my own life, I often suddenly realize I have simply forgotten to be anxious or upset, and that I have been applying the calming skills I have learned without even being fully conscious of doing so. I am also trained in more traditional approaches to psychotherapy such as talk therapy, Cognitive Behavioural Therapy (CBT), and Mindfulness, as well as more alternative approaches such as Eye Movement Desensitization and Reprocessing (EMDR), Energy Psychology, and Energy Medicine. I provide a very comfortable and peaceful environment in my home office, located near the Georgetown, Ontario GO station. Although healing work can definitely include difficult feelings at times, I am someone who has a quirky sense of humour that my clients tend to really enjoy. As a result, sessions with me often include more gentle laughter together than one might typically expect in therapy. 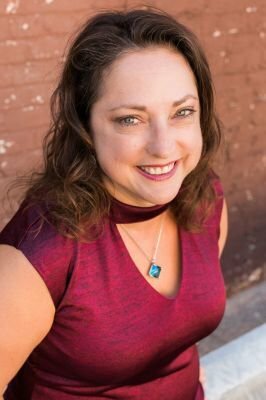 In addition to having over 23 years of experience as a therapist, I also have been through a lot in my own life, so I am also very familiar with what it is like to be a client and the special mix of feelings, hopes and fears that that can include. Before starting my private practice over 13 years ago, I was a therapist for over 10 years at Hamilton Health Sciences' McMaster University Medical Centre, predominantly in the Sexual Assault & Domestic Violence Care Centre. I am assisted in my home office by my two canine assistants: Maggie, who is a 13 year old schnauzer-poodle cross and Jasper, my 3 year old beagle who is a St. John's Ambulance therapy dog. Please advise me if the dogs' presence poses any difficulty for you. Why wait to feel better? Click here to book online now!